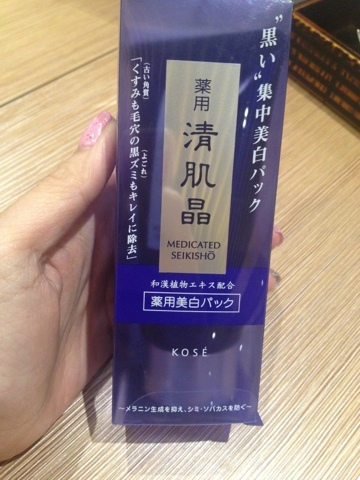 Recently in June 2013, KOSE's best selling SEIKISHO Mask White debuts with an improved formula boasting Red Oolong Tea extract (tightens pores) and Chinese Quince extract (sebum control) to better tackle visible pores and create translucent skin. The product has won beauty accolades since 2006. 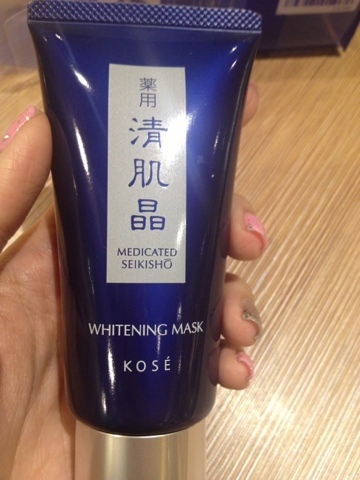 Though it is called Mask White, the mask has nano-sized black powder. Hence after application, you will look like a Blacked Faced! It is a simple and easy to use product. For the busy peeps like us, who want to do a quick deep cleansing without the need to go to to a salon, this may be the interim solution. Just apply 2 layers of the gel-like mask to the entire face and not neglecting the neck. Leave it to dry, approx 20-30 mins, then peel it off. You will feel a significant difference even after the first use. All your blackheads seem to be extracted out, giving your face a very clean look. I bought this in Japan for about SGD$19.90 (subject to exchange rate) for 80g tube. In Singapore, it is about SGD$35 (RRP). Have a great black masking time! I am going to peel off mine now.